The “normalization” of electroacoustics brought on by radical changes in accessibility since the 1960s has contributed to the development of an “elitism for all”. TES 2007 Keynote Lecturer discusses some of his works in this light. Some ideas about using instrumental sound manipulated electroacoustically in order to expand the sonic vocabulary of the piano as an instrument for the 21st century. An introduction to Open Source software and its use for electroacoustic music, aimed at students, amateurs or professionals who are unfamiliar with it. Specific information as well as personal reflections of the author. 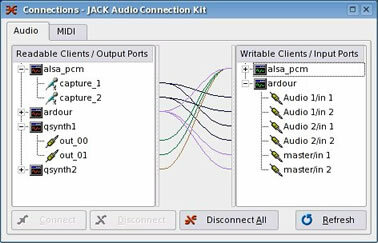 Even though alternate musical controllers significantly extend the expressive range of MIDI synthesizers and software virtual instruments, the computer-based editing and manipulation of data produced by these controllers has remained in an undeveloped state. The author uses a number of his soundscape works to show how the soundscape can be varyingly representative, abstract, educational and immersive perspectives on soundscape materials gathered from a great variety of source locations. In celebration of activism, What Is Now and What Could Have Been is a soundscape of the current and the one-time possible future; it is both a “wake-up call” and a celebration of the past and present efforts of activists. 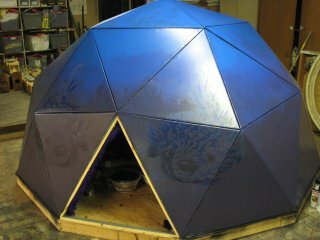 Because musical practice fulfills a unique function as a cultural storage cell for latent listening skills that are crucial to a fuller understanding of the natural world, the role of the sound artist and composer is pivotal to the planet’s future ecological health. 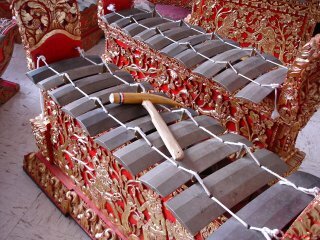 This article describes a project to sample, analyze, and create a composition of computer music simulating Balinese gamelan instruments. 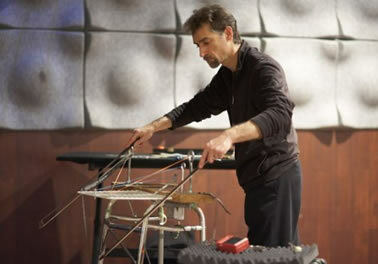 The Springboard is a self-built electroacoustic instrument made from coil springs, a walker and other readily available materials attached to a wooden soundboard amplified with a single piezo pickup. Bowing excites and sustains its sounds over time with richer harmonic content. 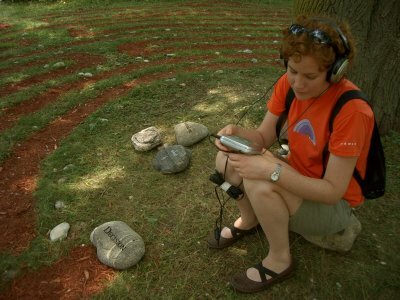 In soundscape installations, the listener can actively contribute to determining the nature of the work, thanks to the alternate forms of presentation offered by such works: different models of listening and perception are inherent to this process. 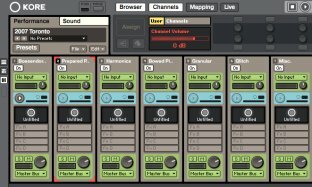 The author’s account of his search for and creation of live spatializers and live spatialization techniques for simultaneously controlling multiple inputs/tracks, and a discussion of various issues related to live spatialization. An essay that interrogates the audience: How does it represent people who listen to music? An exchange of email messages between Barry Schrader and Kevin Austin over a two week period in September and October of 2006. 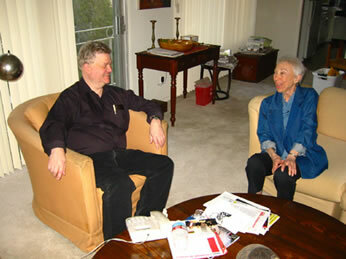 The discussion covers topics in electroacoustic music in particular and music and art in general. The article aims to bring attention to the thoughts and work of composer Carmelo Saitta, who influenced many composers of the middle generation in Argentina. This is preceded by a very short and non-official history of electroacoustic music in Buenos Aires. Two wiki pages have been built to complement the “Communities” column launched in eContact! 10.3, and to help answer the questions that pops up from time to time: “What is going on in ___?” and “Where can I check out some EA in ___?”. Your contributions to helping these “live” resource pages grow are welcome (see the contributor’s page in the Wiki). A list of concert and recital halls, clubs, church basements, cafés where electroacoustic music (in the broad sense of the term) is likely to be heard / seen / felt / experienced on a regular basis / from time to time / once in a blue moon. A list of recurrent and notable one-time concerts, festivals, happenings, goings-on, or other events related to EA, listed by city. Recent additions to the CEC’s online electroacoustic Jukebox. A few words looking back at the successful 2007 event by the Symposium Chair.